Surgery itself is an important part of your skin rejuvenation process, equally important are pre and post-op skin care treatments. It is this combination that yields the most positive surgical results, from accelerated healing and improved appearance to increased patient comfort and satisfaction. It is best to begin pre-op skin treatments 14 – 30 days prior to surgery with post-op treatments starting immediately and continuing for 14 – 30 days after, depending on the surgical procedure. The pre-op treatment phase is primarily about cleansing and stimulating the skin – preparing it to be in its most optimal state prior to surgery. Pre-op skin care treatments are designed to exfoliate, cleanse and strengthen; creating healthier skin that heals faster following surgery. 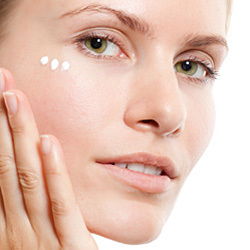 Recommended pre-op treatments include: glycolic peels, antioxidant treatments and therapeutic eye treatments. Our esthetician will recommend take home products for at-home pre-op daily skin care. The intensity of the in-office treatments coupled with the consistency of the at-home daily skin care regimen work hand-in-hand to maximize skin preparation for surgery. Properly preparing the skin prior to surgery places it in optimal condition for the surgical procedure. The post-op treatment phase will focus mainly on soothing and healing. Post-op procedures are designed to comfort and speed the recovery process. These treatments promote the skin’s natural healing abilities and nurture patients through the healing process. Recommended post-op in office treatments will include soothing and moisturizing treatments, and camouflage makeup application. Recommended at-home products will be incorporated throughout your post-op plan. Dr. Heinrich and our esthetician will develop a complete pre and post operative skin care regimen, with home care products to enhance the skin’s natural healing process, and maximize the results of your cosmetic surgery while minimizing recovery time. the investment they have made in their cosmetic surgery.